Drawing my dog with Wacom tablet and Photoshop. I always get beautiful results when I apply new tools. 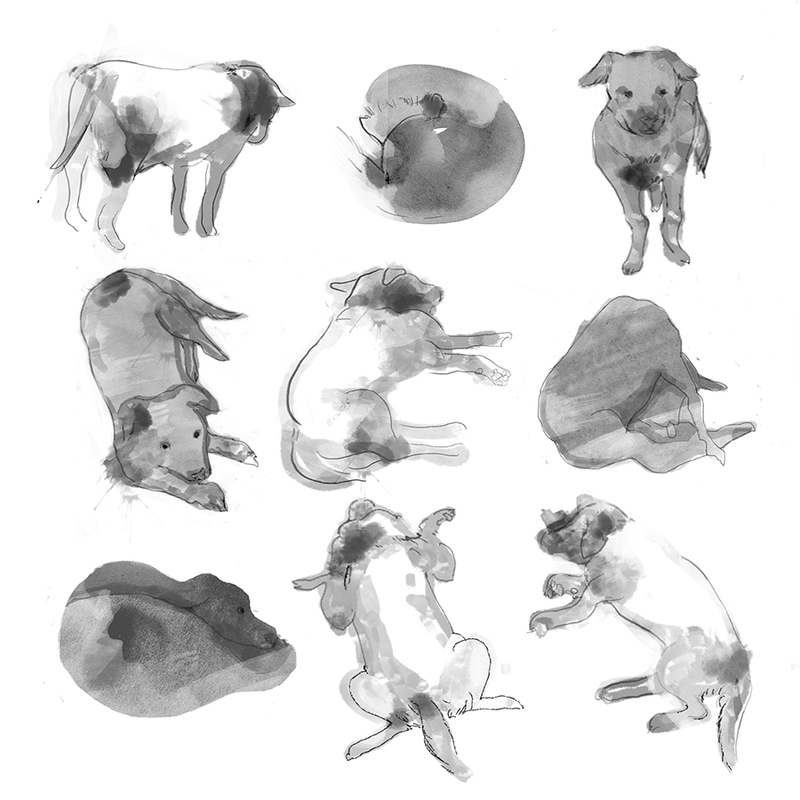 These picture are my dog, second one is drawing her shapes in one point perspective every per an hour.